Jay Johnson made his Broadway debut at the Helen Hayes Theatre starring in the show he both wrote and performed, “Jay Johnson: The Two and Only” which garnered him the 2007 Tony Award for Best Theatrical Event. Four months prior to the Broadway opening, the show played the Colony Theatre in Burbank and won the Los Angeles Ovation Award for Best Solo Show. The previous season, the show had been produced Off-Broadway at the Atlantic Theatre Company where it earned rave reviews and a coveted Lucille Lortel Award. 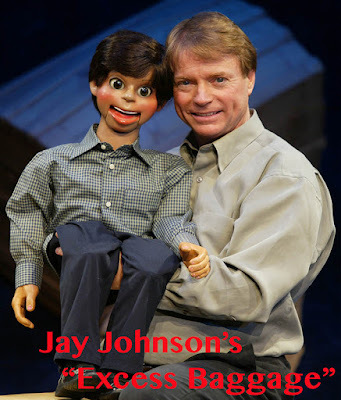 Jay Johnson is a writer, comic, ventriloquist, poet, magician, and puppeteer. He has written and performed in TV specials for NBC, CBS, and HBO, and has hundreds of appearances on variety specials and talk shows including “The Tonight Show” (with Johnny Carson and with Jay Leno) and “The David Letterman Show.” He has been featured in more than 30 national commercials. 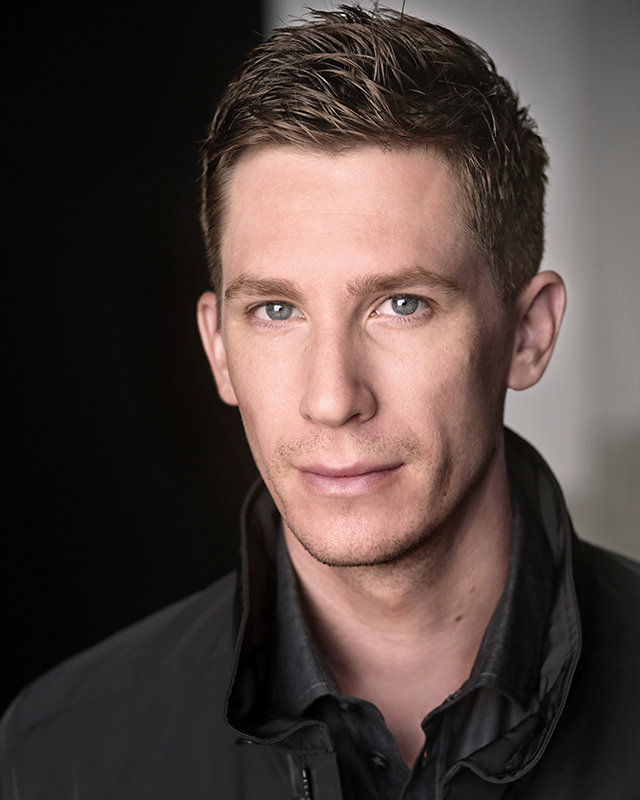 Jay’s acting credits include appearances on “CSI”, “That 70’s Show”, “Dave’s World”, “Night Court” and others too numerous to mention. Jay Johnson is best remembered for his role as the schizophrenic ventriloquist Chuck and Bob’ on the ABC classic TV comedy “Soap”. When did you first get interested in performing ? I started doing voices and operating puppets as early as five years old. They tell me I was playing with a disconnected telephone when they heard what they thought was a voice coming from the receiver. It was me exercising a natural talent for ventriloquism that no one knew I had… especially me. What drew you to ventriloquism? I grew up with a mild form of dyslexia so I became interested in things that did not involve math, writing or spacial directions. Ventriloquism seemed to fit that bill. Did you have a mentor or mentors along the way encouraging you in the performance art of ventriloquism, as an actor or comic? Several people were there to guide me along my journey. Having nothing to do with my career or ventriloquism, my third grade teacher Mrs Gordon was the first to identify my learning challenges. Most significant in my career was the man who carved my first professional ventriloquist puppet; a man by the name of Arthur Sieving. The “unlikely” solo show, “The Two and Only,” which you wrote and performed, garnered you the Los Angeles Ovation Award for Best Solo Show in 2006 and the 2007 Tony Award for Best Special Theatrical Event. How did the show come about? Where were you when heard your show had been nominated for a Tony? How did you feel about winning the award and what did it mean to you? I think being a solo show was our greatest obstacle on the way to Broadway. The subject matter of “ventriloquism” seems to be unlikely to some, particularly to those who say they want to see something different in the theater. Even though the cast consisted of one human being and 11 different “wooden American actors” it still had to jump through the same investor/producer/theater hoops. I was actually in New York for the ceremony giving the original Bob puppet to the Smithsonian Institution when the Tony nominations were announced. It was an interesting morning. Things changed for the show and for me from that second on. It was a satisfying feeling to be recognized and ultimately win a Tony for the show that even now some consider “unlikely” even today. Tell us a bit about the new show you are performing as a benefit fundraiser for the Group Rep. (if you are connected to the Group Rep in any way, please add a sentence or two about that before talking about the new solo show). I have been a friend of Stan Mazin since the days of the Carol Burnett show when he and my wife danced together. Stan has been involved with the Group Rep for a long time so it was natural that I would know about this theater company and want to support it. Stan is the one who asked me to do this special event, and I was delighted. Excess Baggage is just what is seems to be. The show is composed of some of the things that didn’t make it into “Jay Johnson: The Two and Only”, and some of my favorite moments that did. Do you have a future project that you’re working on? I will always be planning my next stage experience. Although some producers have suggested doing “Jay Johnson: The Two and Only – On ICE” I don’t really like to play arenas. I was not weird as a child. I did not use ventriloquism to trick my playmates. I had plenty of friends. Ventriloquist puppets are NOT creepy. And ventriloquism is not schizophrenia. And YES I did see all those “Twilight Zone” episodes which would dispute everything I have said about ventriloquism. The Group Rep presents Tony Award-winning Jay Johnson in a new one-man show, “Excess Baggage,” a special One Night Only fundraiser for the Group Rep. Best known for playing the schizophrenic role of Chuck and Bob on the groundbreaking TV comedy “Soap,” Jay Johnson is one of the world’s most famous living ventriloquists. The event is co-produced by Jeannine Jackson and Stan Mazin. "Excess Baggage" will take place Saturday, August 19 at 8:00 pm. Tickets are $50 and are tax deductible. Buy tickets www.thegrouprep.com or (818) 763-5990. Lonny Chapman Theatre, 10900 Burbank Blvd., North Hollywood 91601. We will feature spotlights on all the playwrights of full length plays over the next few weeks. This week the spotlight shines on Jordan Essoe, author of Fribley Ashtray. My first experience with the Road Theatre was as an actor, playing a cockney rocker who wrote heavy metal songs about Ibsen, in “The Night We Bombed Lincoln Towing,” at the Summer Playwrights Festival in 2015! I got to sing and play guitar, put on eyeliner, hook up with the bartender, and, of course, bomb a towing company. Steven Young’s script was a blast, and Ann Hearn’s directing was inspired. You could tell immediately that everyone at the Road was incredibly talented, authentic, warm, and encouraging. And they love and shepherd writers. I fell in love with the company. These days I try to begin with just letting the ideas flood, and capture as many of them as I can. I write a lot quicker than I used to. Last year I finished my second play, and it took me over a year to complete it. My third play I wrote in 7 days! “Fribley Ashtray,” the piece I have in this year’s festival, essentially came together in about 2 weeks, in a fever of ideas and intense research. I’ve had a chance to polish it a little more since. Like tuning a guitar, you listen very hard to see what material is harmonizing and what is not. But I trust in the initial inspiration. That is the best advice I can offer fellow writers -- the ideas and characters that come to you with the most force know more about you than you do about them. One aspect of the Road’s philosophy as a company is to seek out new, exciting plays, help develop them, and help find them an audience. The Summer Playwrights Festival has become essential to this model, because they are able to showcase so many brand new works, and then, very often, select a few to program into full production. I am ecstatic to premiere the play in this setting, among a roster of astonishingly talented fellow playwrights, with the incredible backbone of a theatre company that has supported me in so many ways, working with amazing fellow actors, and offering it to the Los Angeles theatre community. I love the characters and world of “Fribley Ashtray” and I want it to live a long, happy life! I couldn’t be more excited.